New Zealand and eastern Australia might be the first countries to enjoy a visit from St. Nick on Christmas Eve, but there’s good reason for him to be dressed for the elements with the island nation of Japan next on the destination list! The transition between the mid-summer temperatures in Oceania during December and January versus Japan’s stunning winter weather is like night and day, and the opportunity to enjoy a true winter Christmas experience is something most Aussies and Kiwis will have on their bucket list. Fortunately, travel between Australia and Tokyo only requires a couple of notches of winding back on the wristwatch, so there’s already plenty of reason to jump at the opportunity for a Northern Winter holiday without worrying about jet lag! As one of the world’s top winter destinations, it goes to reason that the snow in Japan is worth travelling for. 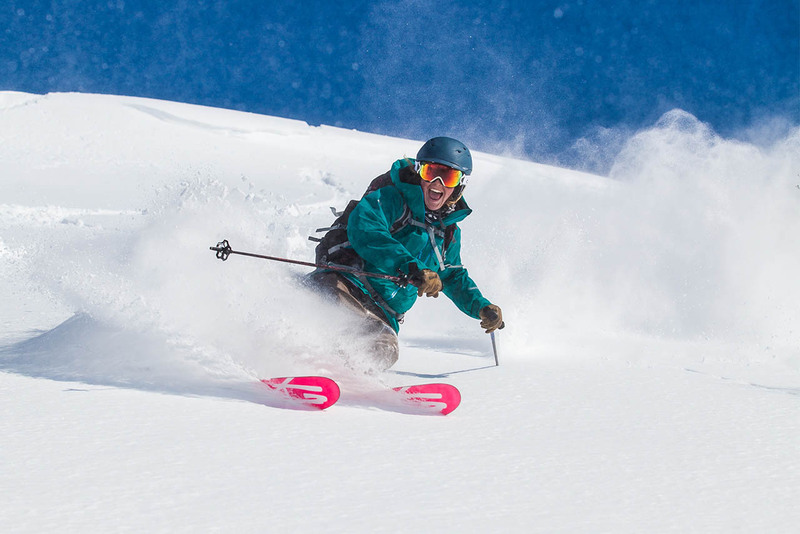 Japan’s landscape offers an effortless variety of terrain to enjoy; from high altitude alpine skiing with endless runs and challenging vert, to rolling hills of bottomless powder and tight birch forests for the powder hounds and sled necks. With many Hokkaido resorts boasting consistent 15+ meter seasons it’s no surprise that the powder in Japan is the stuff of legends attracting riders from all corners of the globe for a taste of the action. Hakuba Valley ski resorts receive a huge amount of snow as well, and there is great accommodation in Hakuba that won’t break the budget. If you’ve ever wanted to enjoy a Christmas morning snowball fight Japan is the place for you! Ditch those paddling pools, sunscreen bottles, and sandy jocks; there’s no better way to relax after a day on the mountain than stripping down to your birthday suit to soak in the waters of a relaxing, volcanically heated hot-pool or onsen. Japan’s unique location upon the ominously named Ring of Fire – a vast ridge of volcanic activity surrounding the perimeter of the Pacific region – provides the country with an abundance of natural springs and geo thermal heating opportunities. The naturally heated waters are pumped beneath roads to prevent ice build-up, through drains to melt cleared snow, and to hotels and ryokan for outdoor hot baths. Certain rules and etiquette must be followed when enjoying the waters in these public baths, but the opportunity is not one to miss – especially during a winter holiday when you can relax in the steamy pools and daydream about what Santa is going to deliver tomorrow as snow flutters all around. Check out this great onsen guide for more info. We all love good Christmas traditions; large family gatherings with more food than you can eat, followed by enough dessert to sink a ship. While you might not find your usual family favourites on the menu in Japan, the country hosts a wide range of must-try local dishes, as well as a huge array of international Michelin Star cuisine options. 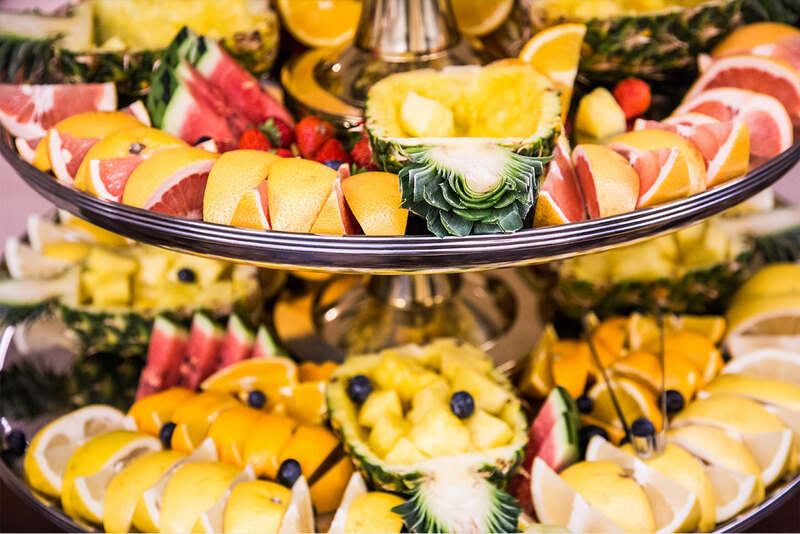 If you’re a bit of a traditionalist when it comes to Christmas dinner you can find excellent carvery and pudding buffets at some hotels, as well as hearty roast dishes at selected western pubs located in larger resorts such as Hakuba and Niseko. If you’re planning to eat out at your resort, ask SkiJapan.com about booking you a seat in advance – no one wants to go hungry on Christmas! Japan is a primarily Shintoist country and the western traditions around Christmas time are not commonly celebrated by locals, however the seasonal vibe can certainly be felt all over the cities and resorts with the sheer amount of decorations that pop up. In Japan, the holiday period is focussed more on the turning of the New Year and most resorts put on excellent New Year’s Eve fireworks displays for the countdown. Sapporo City is also renowned for its stunning light shows during this period. While you’re not likely to see any Christmas parades braving the cold on the main streets, St Nick frequently makes an appearance at most of the larger resorts – sometimes even with a few reindeer in procession. 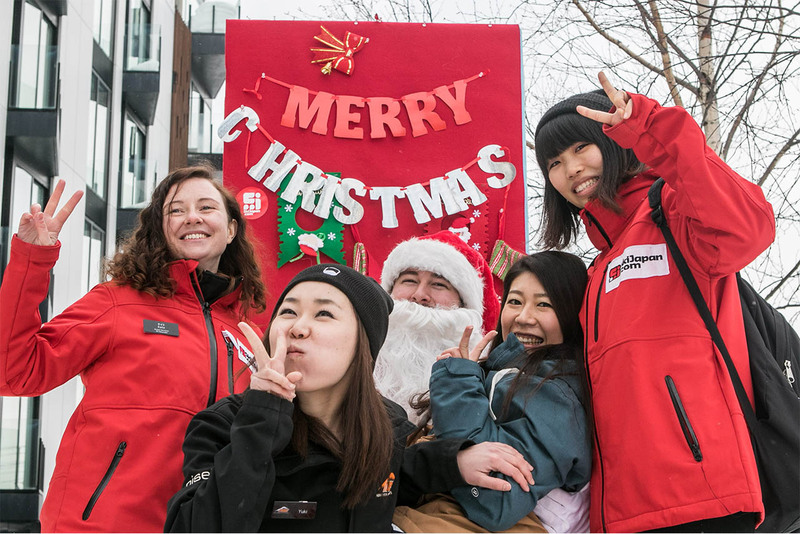 He’s been spotted every year the day before Christmas taking photos with guests and enjoying some mulled wine and hot chocolate outside NBS in Niseko – as well as popping up all over the country for more cheeky photo ops. SkiJapan.com has a wide range of accommodation options across Japan resorts, from quaint traditional pensions and ryokan for a more cultural experience, apartments and hotels with varying room numbers to suit groups both large and small, and sprawling luxury penthouse suites with all the mod-cons. 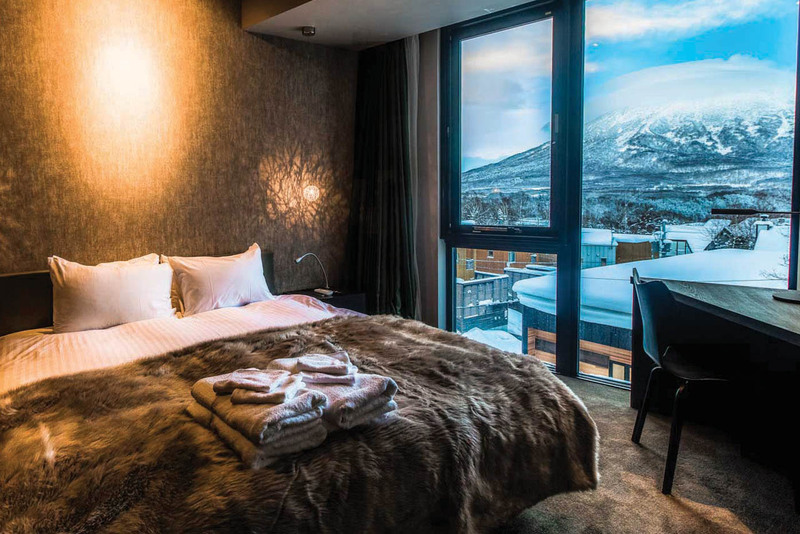 Niseko is a popular option with some of the most diverse accommodation options available of all the Japan resorts; plus being within easy travel distance to Sapporo city makes Christmas shopping in Japan a convenience. If Hakuba is on your agenda this Christmas and New Year – as it should be, being so close to Tokyo City – then be sure to check in at the Hakuba Gateway Hotel. Located centrally in Happo One and only a few minutes’ walk to the Nakayama Chair Lift. This affordable hotel now features a range of excellent services including NBS Japan’s famous rental and retail facilities, restaurant, and Altitude Physio – one of Australia’s most respected Olympic level physio services. 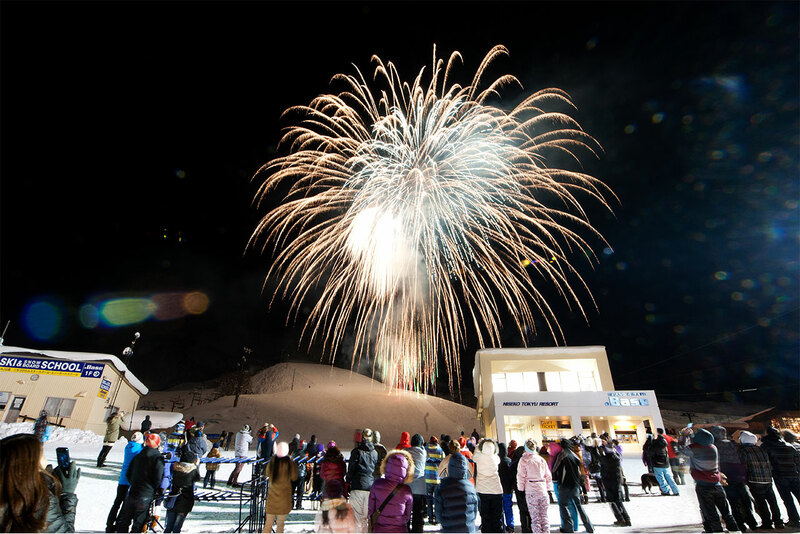 Hakuba Gateway Hotel is well suited for in-resort convenience, and to enjoy the evening fireworks show lighting up the valley on New Year’s Eve. Whatever your needs for a perfect white Christmas in Japan the team at SkiJapan.com are on hand to provide a personalised quote and take the hassle out of travel – contact us today!